Cultivating leadership skills has always been strongly emphasized in R.E.A.L’s curriculum. That being said, camps are being held annually to provide students with opportunities to hone their leadership skills. These initiatives serve as important avenues to nurture high-calibre students with excellent and exemplary leadership qualities. Subscribing to this, 83 students accompanied by eight teachers of R.E.A.L Schools, Shah Alam Campus organised a Junior Leadership Camp which was held at Eagle Ranch, Port Dickson towards the end of last year. The camp was aimed at motivating and encouraging students to be the next generation of leaders of the school; and included a host of activities that promote teambuilding, diversity as well as interpersonal and intrapersonal development. There was also a talk on ‘Thinking Leaders’ that was conducted by Madam Leong, National Junior Principal of R.E.A.L Schools, Shah Alam Campus. All in all, the camp brought together an enthusiastic and determined bunch of students who experienced fun-filled activities such as outdoor games, competitions and group performances whilst fostering closer camaraderie and collaboration amongst each other. 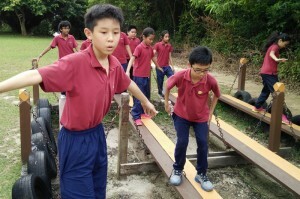 In similar vein, the Prefect and Student Council members of R.E.A.L Schools, Cheras Campus organized a Leadership Training Camp for its primary students. Held at the campus itself, this annual event is designed to mould students into better leaders and team players through a wide range of activities. A total of 13 participants and two teachers participated in this year’s camp. Following an ice-breaker session; Ms. Priscilla, Head of Pastoral Care, held a session entitled ‘Change’ in order to remind students to continuously improve themselves and become a better person every day. The camp continued with a blindfold activity called ‘The Minefield’ as well as a Treasure Hunt; which were both conducted by Ms Emilie, Head of Prefects and Student Council Advisor. 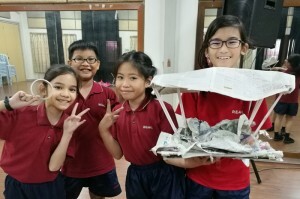 Other constructive and innovative activities include ‘building a straw Eiffel Tower’ and ‘preventing an egg from falling’ by using just newspapers, straw and tape. A variety of skills were developed throughout this camp as the budding leaders learnt to build trust for each other as well as improving their communication and listening skills. Students also learnt to work as a team to resolve clues as they attempt to overcome different challenges. The post Nurturing the Next Generation of R.E.A.L Leaders appeared first on best international schools in malaysia.